P.O.N.D.S. Sites Navigation -> TJB Inc. If you live in Central & Southern Connecticut, imagine you, your family and friends, surrounded by the tranquil sounds of waterfalls, the birds chirping, and the subtle sound of the breeze, all in the comfort of your backyard! 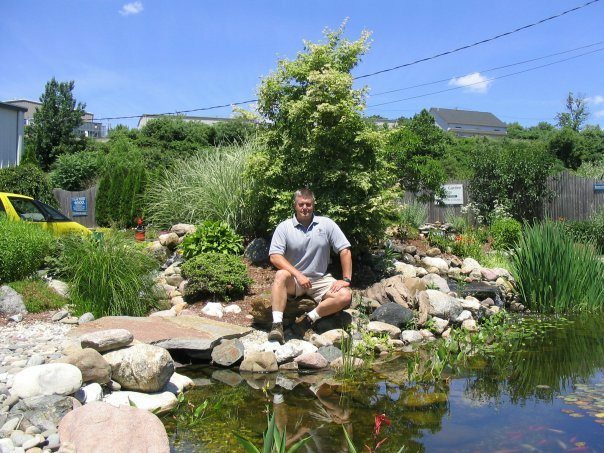 From an ecosystem fish pond, with a series of waterfalls big enough to fill your entire backyard, to a small decorative FountainScape in the corner of your landscape, we can help you design, install, and maintain your water-feature. 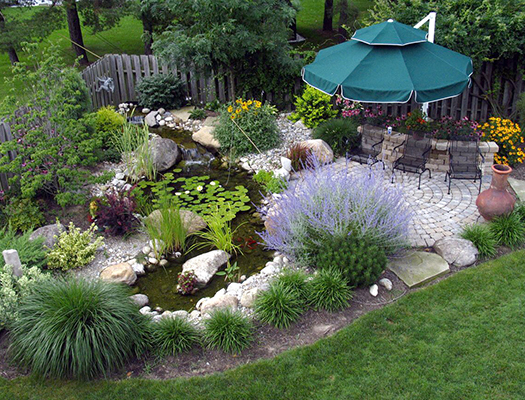 TJB-INC Landscape & Drainage Contractor will transform your landscape into a retreat to get away from everyday life. TJB-INC Landscape & Drainage Contractor is owned and operated by Ted Greiner. TJB-INC has provided quality landscaping services since 1976. We have won several awards for our work over the years. 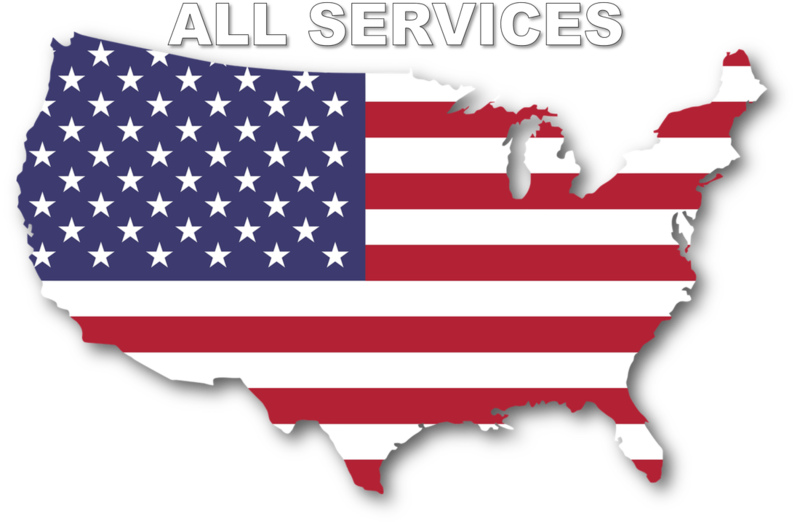 I invite you to spend some time browsing through this site and learning more about my company, TJB-INC. You will find I have had a successful business for over 42 years providing a wide range of landscaping services to my satisfied customers. Click on the HOUZZ tab to see thousands of photos of jobs completed by TJB-INC over the years.